Joseph Dernbach is an Assistant Public Defender in Fort Myers, Florida. 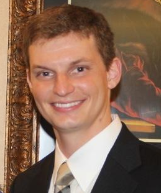 He has been working for Kathleen A. Smith, the Public Defender for the 20th Judicial Circuit, since January 2014. Prior to joining the Public Defender’s office, He graduated from Franklin & Marshall College in Lancaster, Pennsylvania. Mr. Dernbach then went on to graduate from Widener University School of Law in Wilmington, Delaware. In his free time, he is an avid hunter and a Green Bay Packer fan. Mr. Dernbach has specialized training from Axion Labs in Forensic Chromatography, Forensic Drug Analysis, and Forensic Principles of DUI Drug. He has completed the NHTSA DWI Detection & SFST Practitioner’s Course. He has also completed the Drug Recognition Expert overview course. Mr. Dernbach is a member of American Chemical Society and the DUI Defense Lawyers Association.